It is a great privilege to become the club captain here at Crondon Park. I have been a member on and off since 2003 and it was while serving on the committee from 2013 that I was part of the succession plan put in place for captains up to 2021. However when I decided to move on last year I thought I had lost my chance. When Mark Sinnott announced in October that he was no longer able to fulfil his role as club captain I let the committee know that I would be happy to step back into my original captains’ year. The committee, after discussion, accepted my offer and here I am today. I will be trying my best to join in with and play with all the swindles and hope to get to know as many of the members as possible. I do enjoy any excuse to play golf so will be making the most of this. I also plan to attend as many club team competition fixture as possible across all of the sections. I believe this is a very important part of what Crondon offers to its embers and I wish the captains and the teams the very best of luck. I would like to offer my congratulations to Amanda on becoming the ladies captain and Nick the seniors. I look forward o working and playing alongside them both this year. As on past years all three of us want to keep this golf club united with our sections playing together regularly. As you are now aware the constitution is being updated to have one main committee and three separate committees for each of the sections. This can only be a good thing for the productiveness of the club and the sections in turn. I believe Crondon is in a great position to move forward as a club. This provides many opportunities to grow both from a member’s point of view and as a business. It is important that we do lose sight of both of these important aspects. Endometriosis Uk helps to work to improve the lives of the people affected and to decrease the impact it has on them, their families and Friends. It provides a wide variety of support mechanisms as well as raising the profile of a condition that affects 1 in 10 women of child baring age. I hope you will help me raise a lot of money for this small charity. 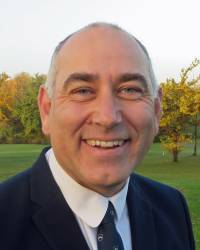 I am very pleased to announce my vice captain Alan Parmenter. Alan has been working hard for the last couple of years in the thankless task of competitions secretary. Alan is undertaking both roles this year which is a major commitment and I can only wish him luck. However with the support of you the members I’m sure it will be a breeze. Finally I would like to congratulate Lee on such a great year and a role model for what a club captain should be and I hope I do him proud this year. It just remains for me to wish you all a great golfing year and I look forward to representing you as your club captain.